When I first bought the van, I really did not know what to expect. But I liked the idea, the kids loved the idea. It made them think of the Mystery Machine from Scooby-Doo. So we bought it. The van was an instant hit. The kids could sit in different rows to help prevent fights. We could carry their friends. We drove up to Sydney a few times. It was the perfect vehicle. I found that driving was unexpectedly good. It had been originally used on a farm near Tabke Top in NSW. Then it had an owner in Essendon before coming to Fern Tree Gully. So a few things do not work. We fixed some mechanical things. But overall we have had a good run. Now the time comes to move on. I have a work car now. Another van. So we are selling the old van. 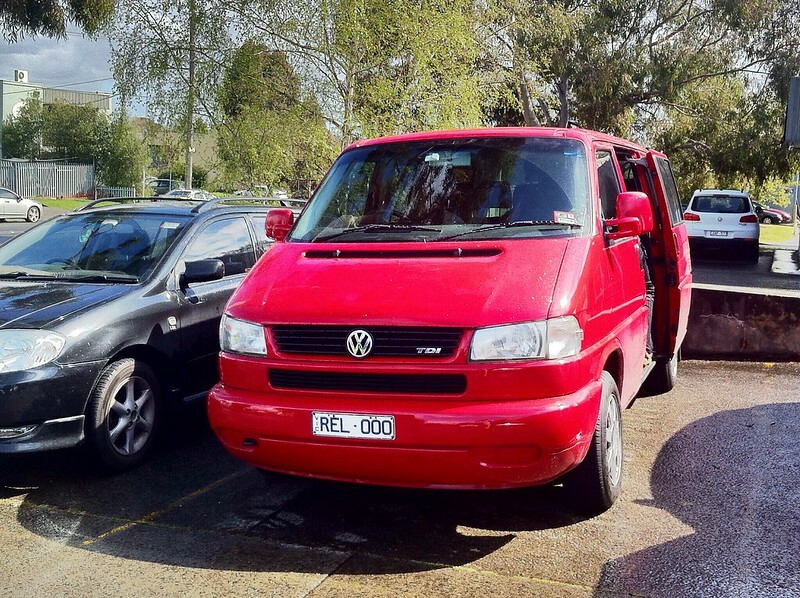 The van is a 4 door 2001 Volkswagen T4 transporter. It seats 8 in 2+3+3 configuration. It is a Turbo Diesel Automatic. If you want to buy it – you can contact me on 041 836 3804. We are in Monbulk, Victoria.